Each book section is headed by an appropriate quotation from a famous physicist. In the first half of the book, I outline the various aspects and assumptions that underlie the theories of relativity and quantum mechanics. I think you may be surprised at what really forms the basis for each of these theories. I highlight a number of key issues in physics that have not yet been satisfactorily addressed. In the second half of the book, I direct your attention to phenomena that are presently considered to be non-physical by science. The non-physical phenomena that I discuss are well-documented and are clearly part of our reality. Science neglects or dismisses the existence of these “inconvenient truths” because they cannot be explained by current scientific paradigms, but for science to progress in a meaningful way they must be addressed. Finally, I suggest that consciousness is the overarching fundamental quantity that underlies both the physical and the non-physical. Everything derives from a field of Universal Consciousness that resides in the non-physical realm and which contains the physical realm as a subset. Edited by GAHD, 31 December 2018 - 11:39 AM. Oh good, just what we need. A piece of spam, plugging a book by a another crank who makes the category error of treating consciousness as an entity. 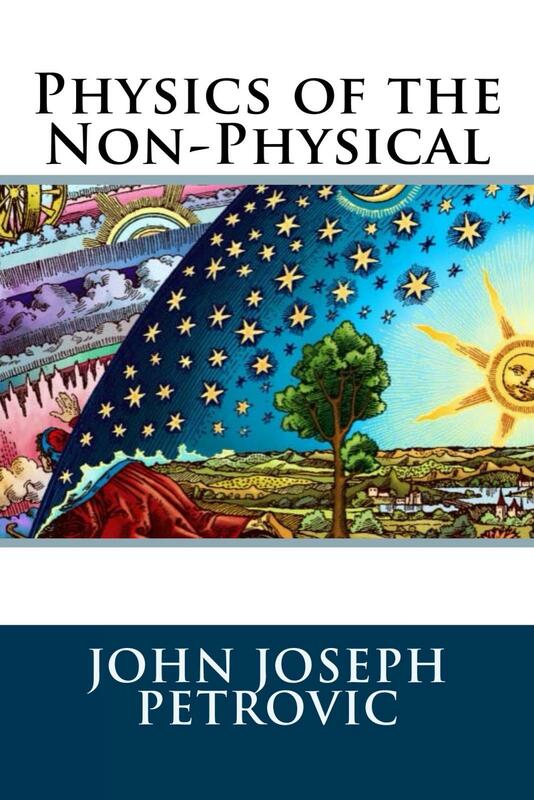 If you read "Physics of the Non-Physical", you may have a different opinion. If and when it gets a good review from a reputable source I'll consider it. Well, not exactly a separate entity. "a thing with distinct and independent existence. "church and empire were fused in a single entity"? Perhaps more like "body and soul", "brain and mind". Fused together in a single entity. I don't know if that is the basis of this book but it's how I see consciousness. Curiosity makes me want a look at the book. Forgive me if I am supporting "spam". I don't want to turn this "advertisement" into a discussion of what consciousness is. It is just a topic that gets my attention. And I can't defend a book I have not read. I still think that's a category mistake. Consciousness is an activity of the brain, not a thing. Just as W R Klemm says in Mental Biology except that he calls it Mind. And it makes perfectly good sense to me. All I was indicating (or trying to indicate) is that Brain and Mind/Consciousness are not two separate entities. They merge. As to which is using the other as a tool is still open to debate in my Brain/Mind. So, are you saying an "entity" indicates a "thing" and therefore Consciousness should not be called an entity because it isn't a "thing"? I confess that I am not seeing the distinction. Maybe I do not understand how you define "thing". A little wisdom on that topic, please? Perhaps you are saying that an entity has to be something physical? But, neither "church" nor "empire" are "things". That would make the above definition that I found wrong. Try using the analogy of a computer. Think of the computer and software as the brain. When the computer is off, it's much like a non - living brain. When you turn on the computer and start using it, that activity could be considered to be something akin to consciousness. Remember that even a sleeping brain is active, and certain functions, such as keeping the heart beating and the lungs breathing require some activity in the brain, but not necessarily consciousness. I think of a computer that is turned on, but not being used to be similar to a brain in sleep, although a brain is far more complex and may be dreaming in sleep. I often wonder what happens to my consciousness when I have been in a deep but dreamless sleep, as when I wake up after 5 hours of sleep feeling like I have only just gone to bed. The arrogant, contemptuous dismissal, based upon a misapprehension of what's even being said to begin with, of a post seems to be a recurring theme with you, eh? This whole topic goes back millenium, to Plato, and before. He says it is "real" and yet that it is "non-physical." Edited by Moronium, 26 May 2018 - 10:03 AM. Playing football is an activity, therefore it is a category error to even try to speak of the game of football, right? I don't think so. Homey don't play dat. For some damn reason, most languages make a distinction between verbs and nouns. God only knows why. Often the very same word can be used as either a verb or a noun. Edited by Moronium, 26 May 2018 - 09:53 AM. ...much of our present science is based upon aspects that are more aptly characterized as metaphysical, or non-physical, in nature. But don't even try telling that to a lot of the posters here. The things that become philosophical debates never cease to amaze me. What is real? Pain is real but it is non-physical. Only its cause is physical. Getting that off my mind, I don't think the OP author is being philosophical. I think he is trying to show that consciousness is not a philosophical debate but a scientific fact. Not in his case at least. Big difference. I think he is wrong when he says science (read that scientists) avoid discussing consciousness. Some do just as some avoid talking about religion. But I have several very good books about consciousness and they were written by scientists. Dr. John Joseph Petrovic is a scientist who retired from the Los Alamos National Laboratory as a Laboratory Fellow in 2005 after thirty-three years of scientific research in many areas of materials science. He has published two hundred scientific papers and holds ten U.S. patents. Those are fairly impressive credentials, but that won't stop every high-school drop-out on this site from telling you they know 10 times as much about science (and the philosophy of science) as you do, know what I'm sayin?